All of these blends are Paleo and Whole 30 compliant. The sausage seasonings are AIP or can easily be made AIP compliant. If you have successfully reintroduced seed spices all of these will work for you with the exception of the Chili Powder recipe. In that case use the Nightshade Free Mexican Spice Blend in it's place. For 1 lb of ground meat. I used pork. I began this blog because I want to help my friends find REAL FOOD to eat. I'm a stay at home mom with a 4 year old boy so my days are busy with a bundle of energy. Each afternoon we go to Taekwondo lessons and during the day I'm trying to sort our an attempt to homeschool. My husband works in emergency medicine so when he goes to work it's either for 12 or 24 hours. Sometimes he'll work at one of the bases outside of town and he'll be gone for a few days at a time. What I'm trying to convey is that I have a notebook of recipes but I don't always have the time to take perfect photos to go with each one. As the little one gets older I'm hoping to have more time but for now I'll share what I can. Some posts may contain photos taken from my cell phone camera and others may not have any photos. In the future my goal is to go back and remedy this situation but for now I'm going to share recipes as I create them. These potatoes were FANTASTIC and I'll be putting them on my holiday menu for years to come. Since I gave up added sugar almost a year ago my taste buds have changed and most things that are sweetened for the regular population are entirely too sweet for me. I honestly can't believe that we add sugar and marshmallows to sweet potatoes. They are so incredibly sweet already. So, here is a savory version to balance out the sweetness. I've found that the quickest way to cook sweet potatoes is to steam them because they seem to take all day in the oven. I also recently read somewhere that baked sweet potatoes have a higher glycemic index than boiled sweet potatoes. I'm not sure how steamed sweet potatoes rate on the scale but I'm guessing that it has to be less than a baked sweet potato. Cut the potatoes into bite sized chunks and steam them just until they are fork tender but not mushy. I'm sure it would taste great either way but in terms of appearance and texture I think cooked chunks will work better. For reference, I steamed my sweet potatoes for 20 minutes. While the potatoes are steaming cook the bacon in the oven. I put a cooling rack on a cookie sheet to catch the oil. That way there are not any splatters or a big mess to clean up. Time and temperature will depend on the thickness of your bacon and how crispy you like it. For thick sliced bacon I use 375F and let it bake 20 minutes or so. After it's cool I cut it into bite sized pieces about 1/2" thick. When the bacon and sweet potatoes are almost done melt your fat of choice in a skillet and add the fresh sage leaves to fry. Using 12 sage leaves there were hints of sage in the dish but it wasn't overpowering. If you'd like more of a pronounced sage flavor simply use more leaves. Frying sage leaves can be tricky because it's a super quick process. If the leaves turn brown they are burnt whereas they will be dark green when they are crispy. I usually cook both sides for a total time of about 60 seconds, 30 seconds each side. A pair of tongs is very handy for this quick task. In a bowl add the sweet potatoes, bacon, crumbled sage leaves, and salt. Pour the fat the sage leaves were cooked in over the potatoes along with maple syrup. Toss to combine and enjoy. When I think of breakfast sausage I always think of Jimmy Dean sausage. That's the flavor I grew up with and I've always been disappointed in the past when I've ordered sausage at a restaurant that didn't taste like theirs. So when I set out to create a breakfast sausage their flavor is what I was aiming for. INGREDIENTS: PORK, WATER, CONTAINS 2% OR LESS OF THE FOLLOWING: CORN SYRUP, SALT, SPICES, SUGAR, MONOSODIUM GLUTAMATE, FLAVORINGS. The only ingredients in the list above that I can tolerate are: pork, water, and salt. I understand that companies fear someone will steal their recipe but I REALLY need to know what the spices and flavorings are. 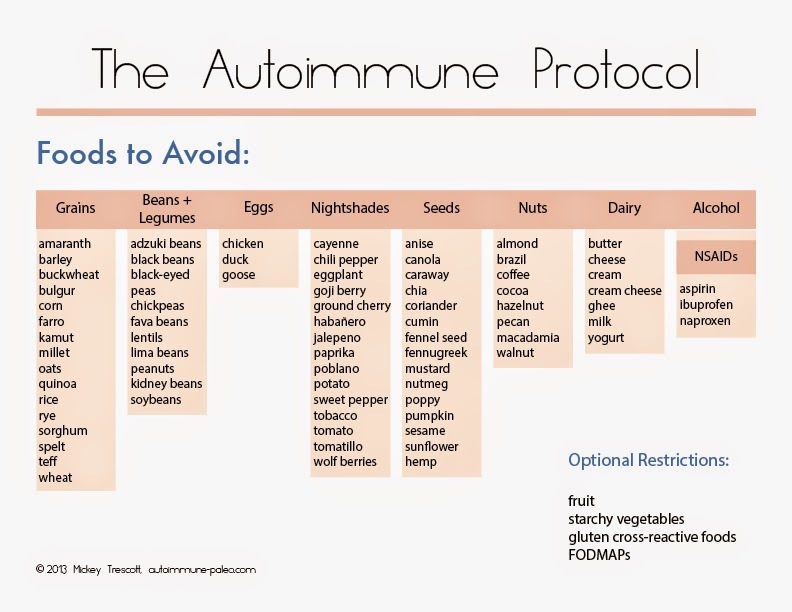 The autoimmune protocol is all about healing the intestinal lining so nightshade and seed spices are not allowed. Furthermore I need to know how the pork was raised. If it spent it's life in a cramped cage unable to turn around then that isn't something I want to support with my money. Since I'm also trying to improve my gut flora I don't want a dose of antibiotics. That is my other motivation to making my own sausage, I know where the pork came from. In a bowl combine all of the ingredients with your hands until mixed thoroughly. I know the nutritional yeast sounds weird but trust me. There is just a bit and it gives a hint of a cheesy flavor. If this isn't something you typically use in your kitchen buy a little bit from the bulk section in your local health food store instead of a large container. Form the sausage into patties and use in a recipe or simply make patties and brown both sides in a skillet over medium-medium/high heat. My new years resolution for this year is not to buy anything for myself so I'm also looking for other ways to buy less. In the picture below you'll see that instead of putting the sausage on a paper towel to drain I put them on a cooling rack over a baking sheet. One of the things I have loved about paleo cooking is learning to make things in batches. Since there aren't many choices when it comes to finding something quick to eat that is also paleo, batch cooking is our lifeline. When I first learned of the concept I wondered why everyone doesn't employ this strategy. Would you rather spend an hour in the kitchen every night or a few hours on the weekend? The few hours on the weekend are used to cook things that require the largest time investment: Squash, sweet potatoes, beets, and of course meats. Then during the week all you have to do is heat up the time intensive foods and cook up a few quick vegetables. So my goal has been to create recipes that are as close to meeting those criteria as I can. Ground beef is one of the cheapest cuts of meat on the market. When it comes to buying beef grass fed is significantly healthier than grain fed. Grass fed has more anti-inflammatory Omega 3's and nutrients whereas grain fed is low in Omega 3's. Grain fed is also high in inflammatory Omega 6's and is more likely to come with a hefty dose of antibiotics and pesticides. If you've never shopped for grass fed beef you're most likely going to be in for a sticker shock. Grain fed is significantly cheaper because our government subsidizes grain crops but not grass. Your cheapest bet is going to be a local source by cutting out the middle man. For me I'd rather eat less meat of a higher quality than an abundance of meat that creates inflammation. I found a local butcher, Meats Royale, that carries grass finished beef, without hormones or antibiotics, and no GMO feed. As it turns out meat cannot receive a grade from the USDA unless it is grain fed. Grains are necessary for an animal to create marbling, ie fat, in the meat. Be aware of tricky labeling, organic beef can still be grain fed so look for grass fed. A few years ago I looked in Julia Child's, Mastering the Art of French Cooking, to see what she would do with ground beef. So I tried her Bifteck Hache a la Lyonnaise and I fell in love. I never knew that ground beef could taste so good. It was like a poor man's fancy steak dinner. Ever since then I have always gravitated towards that flavor profile because not only is it delicious it's also simple. In Julia's original recipe she sautees onions but I wanted this recipe to be quick and easy so I opted for onion powder instead. I also tried to make the math pretty with this recipe. I used 3 lbs of ground beef but all of the measurements can be easily converted to any number of pounds you use. Simply remember that 3 teaspoons equals 1 tablespoon and the math will always work out. Combine the above ingredients in a bowl with your hands. Then roll it into balls about the size of a golf ball. For this step I used a 3T sized scoop with a trigger and I placed the balls onto a baking sheet lined with parchment paper. Parchment paper isn't necessary but it does make cleanup easier. Bake the meatballs at 400F for 20 minutes. 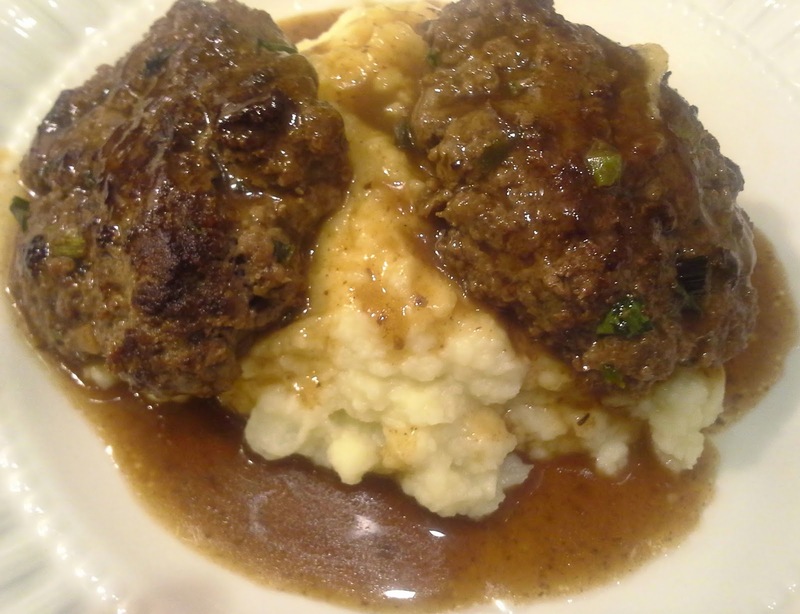 I have made this recipe more than once and I absolutely love it because the meatballs are delicious and they would pair with nearly any cuisine. You could cover them with barbecue sauce for a party, put them into a sandwich, use them with zoodles, spaghetti squash, or your favorite pasta, or you can eat them like I do just as they are with a side of your favorite vegetables. If you're going to freeze some of the meatballs I'd freeze them on a baking sheet and then put them into a storage container. To store them a bit longer put them into a zippered bag and zip it but leave room for a straw to be inserted. Inhale through the straw to remove as much air as possible and then finish zipping the bag as you quickly remove the straw. It's my attempt to vacuum seal without an actual vacuum sealer. Let me know how you decided to use this recipe. Some things just make sense eh? Bacon and Kale go very well together. Also, good quality bacon isn't the cheapest on the shelf. I prefer to buy my bacon from a local source so that I know how the pig was treated. Recently Chipotle took pork off of their menu due to the ethical concerns of how pigs are raised. Between horrible treatment of animals and the questionable ingredients added to bacon I've been playing with making my own. Recipe to come. So if I'm going to go to the effort to source high quality pork, uncured, that doesn't have any nasty chemicals you'd better believe that I'm going to save the bacon fat. Bacon fat is great to cook with. Not only does it have a high smoke point but it also gives amazing flavors to anything you cook in it. I keep my bacon fat in a mason jar in the refrigerator. For this recipe you'll need to heat the fat slightly. You don't want to turn it into a hot liquid. I popped mine into the microwave for a few seconds. (go in 10 second increments until you achieve the desired consistency) It was still white but was no longer solid. Here is my bowl of kale chips. It looks a bit empty because I kept eating them while the second and third trays cooked. I wanted crispy chips so I made sure that none of the kale was touching another piece. There weren't many chips on the last tray but I suggest spacing them out instead of overcrowding the chips, no matter how many trips to the oven you have to make. Bake at 350 F for 10 minutes on a cooling rack over a baking sheet. I'd always baked kale chips directly on a piece of parchment on a baking sheet but some parts of the chips came out over cooked from direct contact with the sheet whereas other parts were sometimes soggy. When I cook bacon I put it on a cooling rack over a baking sheet and it comes out perfectly crisp so I decided to give it a try with kale chips. As you can see below they came out perfectly crisp and not burnt or soggy. The next time I make these I think I'll grind up some cooked bacon into a dust and sprinkle it over the chips before I bake them for an extra bacon kick. Often abbreviated AIP, the autoimmune paleo lifestyle, is focused on healing intestinal damage known as leaky gut. When a person has a leaky gut they have food particles that escape the small intestine and make their way into the body cavity which then sets off an autoimmune response. Every person who has an autoimmune disease has a leaky gut. A few Facebook groups exist for those of us who follow the autoimmune paleo lifestyle. Here and there you will see comments from people asking questions about weight loss but autoimmune paleo is not about weight loss. Losing weight ends up being a perk but it isn't the focus. I've never owned a scale and I think all women should throw theirs out. We are so much more than what we weigh or don't weigh. Here is a scene on the weight subject from one of my favorite movies and books Eat Pray Love. While you won't see Pizza Margarita on AIP I am thankful for the wonderful recipes I have come across. Last night I made turkey and dumplings that reminded me of the pot of chicken and dumplings I used to make with my grandmother. However, there are a number of us who struggle in the beginning. When I first began I did not have any withdrawal side effects because I couldn't really fall off of the Whole 30 wagon without a reaction prior to starting AIP. I also thought that because this was the third time I gave up foods that could potentially cause problems I thought it would be a piece of cake. Like anything else, it's tough at first and then you get the hang of it but after a month I hit a wall. My symptoms were gone and I was bored of eating meat and vegetables. Sure I'd make lemon coconut fat bombs or Russ's Flatbread from The Paleo Approach Cookbook but I began to miss foods that were paleo. I didn't want to cheat and throw in the towel but I was missing variety and my seed spices. So one morning we went out to breakfast. Following AIP there is no dairy, eggs, or grains which pretty much eliminates 99.9% of any SAD breakfast menu. (SAD is the acronym Standard American Diet) I had become stressed and exhausted from watching every little bite that went into my mouth and so I just ordered. I ordered huckleberry gluten free pancakes, eggs, coffee, and bacon. None of it was AIP and I felt the effects of it for the next two days with a headache, achy muscles, and swollen and achy hands. A few days later I made a pot of chili. I knew that I over did it at breakfast so I thought I'd just add 1 non AIP thing to the chili, cumin, and a speck of tomato paste. That day I thought tomatoes and I were still friends. You're supposed to reintroduce one thing at a time but I was so tired of feeling deprived that I threw caution to the wind. From the people I've talked to online this seems to be common. Many of us have started, hit the wall, threw caution to the wind, and then we end up back at AIP with a much better resolve. I've missed cumin terribly, probably more than any other spice, and so I ate the chili with cumin and found myself in the bathroom within 30 minutes. It's been a little over 6 weeks since I started following the autoimmune protocol and I've finally made peace with it. I think a huge portion of that is simply learning new ways to cook. Once you have some quick and easy ideas it doesn't seem so daunting. I've also added back a few foods which has helped. Black pepper doesn't seem to bother me. Yeah! I'm also fairly certain that almonds are still OK too. Cashews on the other hand made my mouth and throat burn within minutes of eating them. Having a nut reaction for the first time in my life was scary but thankfully nothing serious came of it and now I know not to throw back handfuls of nuts until I'm sure of where I stand. Damage to my gut has occurred over numerous years so to expect it to heal in 30 days isn't likely. I have met people who have followed AIP and they've been able to add back foods that they were previously sensitive to. So far I don't think I've met anyone who has accomplished this in less than a year. I know that I can't go back, nor would I want to. I feel so much better, but I finally had the realization that this is going to be a marathon and not a sprint. What is allowed on AIP? That is a pretty good list of food but it comes with a number of challenges which I will discuss shortly. Besides excessive weight gain and difficulty losing weight, chronic inflammation has been linked to at least seven of the 10 most common causes of mortality in the United States, which include heart disease, cancer, chronic lower respiratory disease, stroke, Alzheimers disease, diabetes, and nephritis. So what is a girl to do? When it comes to eating breakfast in a restaurant I try to aim for a late breakfast at 11 or later because most restaurants are serving lunch by then. If that isn't possible I order a steak with vegetables and fruit as sides, no nightshades (potatoes, tomatoes, peppers). I'll also ask if they'll cook up some of their omelette veggies without the eggs as a side dish. At home I often have leftover roasted vegetables for breakfast either on their own or with a meat of some sort. I ask for the meat to be plain, no seasonings, no oils. Most restaurants don't have many vegetables on their breakfast menu which is why I try to aim for the lunch menu. Since I've been at this for awhile I can now walk into most restaurants and finagle my way through a menu to find something to eat. It's often not exciting but at least I don't go home hungry and I can still keep a bit of a social life. My usual orders are a burger, if the meat is high quality, without a bun and AIP approved toppings with a side salad. I then mix the burger with the salad for a big hamburger salad. My other option is a piece of meat plainly cooked, no oils or seasonings, and vegetables. I'm thankful for the restaurants that offer baked sweet potatoes not only does it make me feel like I get to have dessert but otherwise it's usually a double order of steamed vegetables. Will I ever cure my autoimmune disease? No. Once your body learns to attack itself it can't be unlearned. What I can do is avoid the foods that trigger my symptoms when they cross the wall of my small intestine. By doing that I can help my gut heal and reverse my symptoms. One of my favorite AIP bloggers Phoenix Helix has written a wonderful article on The Difference Between Reversing Autoimmune Disease and a Cure. I began AIP over 2 months ago and I will tell you that it has come with challenges for sure. There are some people who begin AIP as a last resort. Many of those people don't have much difficulty sticking with the strict diet from the get go because so many find a sense of normal living that they have been searching for over a number of years. Let's face it, western medicine focuses on putting band-aids on problems by writing prescriptions to mask symptoms. If you have a doctor that focuses on your lifestyle and encourages prevention then you should hold onto them tightly. In The Paleo Approach Community on Facebook there are so many people looking for physicians who have read or at least understand The Paleo Approach. When I joined the group in January there were 33,000+ members and now it's nearly 35,779. There are so many people looking for help in this group but this group is also a wealth of support. The Paleo Approach Comminity is made up of people from all walks of life, with all sorts of autoimmune diseases, in various stages of recovery. Odds are that whatever you are facing there is someone in this group who will lend an ear and offer advice. When I walked past this asparagus in the supermarket I had to buy two bundles because the spears are so small. That may sound counter intuitive to some but the smaller the spears the more tender they are. Looking for something different to do with asparagus I decided to add sauteed mushrooms. These aren't just any mushrooms, this is how Julia Child taught me to make mushrooms in her book Mastering The Art of French Cooking. Thinly sliced and browned on both sides, I think this is the closest any food can ever come to tasting like bacon. One of these days I may cook up a bunch just so I can snack on them. If you know anything about Julia you know that she cooked with lots of butter. Since I have a horrible reaction to dairy I thankfully have found a replacement. Nutiva makes a shortening (non-hydrogenated and sustainable) that is a combination of coconut oil, palm oil, and red palm oil. The red palm oil gives it a slight buttery flavor and it has a high smoke point. I've tried but I'm simply not one of those people who can use coconut oil in every dish, especially savory ones. Whether you use butter, ghee, bacon fat, or shortening my husband and I decided that THIS is the way to eat asparagus. bunch of asparagus with the woody ends trimmed off. Melt the fat of your choice in a skillet. Add the thinly sliced mushrooms and 1/4t of salt to the hot oil and cook until browned on both sides. Remove the mushrooms and add the asparagus and remaining salt to the pan. Stir the asparagus around so that each spear is coated in fat. Add water to the pan to steam the asparagus and cover with a lid. Cast iron skillets don't typically come with lids. In the past I have used larger lids to cover the pan but condensation eventually begins to drip onto the stove top. One of my new favorite kitchen gadgets is this silicone sunflower in the photo below. You can use it for an airtight seal on bowls or on hot items such as a pot on the stove. I'm saving on plastic wrap and avoiding drips on the stove. Brilliant! Remove the lid periodically to stir the asparagus. You are aiming for bright green and tender stalks that aren't mushy and complete evaporation of the water added to the pan. When the stalks are bright green there shouldn't be much water remaining. If there is a bit you can remove the lid to let it evaporate if the asparagus is nearly cooked. If the asparagus is completely cooked simply remove it from the pan and don't worry about the water. We don't want to overcook your asparagus. Top the asparagus with the cooked mushrooms. The auto-immune paleo diet is strict for good reason but sometimes you just want a bite of something familiar and comforting. When I went to make dinner tonight all of the meat was still frozen and I wanted something quick because it was 6:30 an the little one goes to bed at 8. I learned tonight that parsnips don't cook as quickly as potatoes do so if you're pressed for time cut your parsnips smaller than I did. Like most nights this recipe was simply an experiment of mine and I had no idea how it would turn out when I began assembling ingredients. However, the final result hit the spot and I could barely eat it fast enough. In a large stock pot melt 1T of palm shortening over medium heat and saute the onion and celery until the onion is translucent. Add the garlic and stir a few times before adding the broth, water, bay leaf, thyme, and cauliflower. While the cauliflower is cooking heat the remaining 3T of palm shortening in a saute pan over medium heat and quickly fry the sage leaves. Remove the leaves and add the mushrooms, cooking until they are brown on both sides. When they are done place them on a paper towel or cooling rack to keep them from getting soggy. When the cauliflower is fork tender remove the bay leaf, set aside, and puree the contents of the pot with a blender. Be careful of hot liquids and don't fill a blender more than half full. I used an immersion blender tonight. Return the liquid to the pot along with the bay leaf, salt, and diced parsnip. Cook over medium heat, the soup should lightly boil, until the parsnips are tender. Garnish with mushrooms and sage leaves. I grow sage around our covered patio and it provides me with fresh sage almost year round. Since it's early in the year and I was just playing in the kitchen I only picked about 10 leaves. Next time I'll definitely find more leaves to fry up. Here is a photo of sage I took last summer. It is nearly the only thing that grows here in southwestern Idaho without human intervention. If you have a dry place in your yard with poor soil I bet sage will grow there. After my first Whole 30 this past August I haven't been very successful in adding back the foods I gave up then. I never would have dreamed that giving up food for 30 days would cause my body to reject it in the future. This doesn't happen to everyone but it actually happens to a fair amount of people, especially if they have an autoimmune disease. I've followed the AIP lifestyle for the last 3 weeks and it finally getting to the point where it's becoming comfortable. 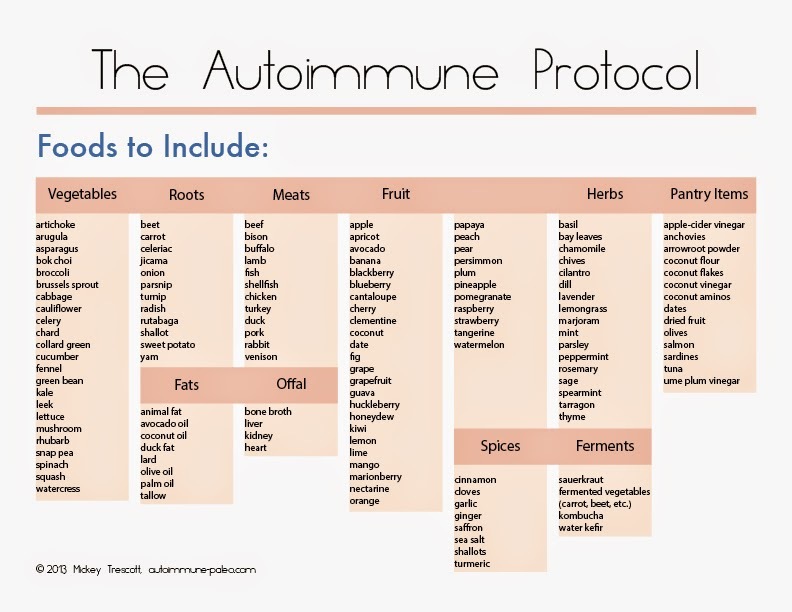 For those who aren't familiar with AIP it stands for Auto-Immune Paleo. I'm going to assume that you're familiar with AIP if you're reading this. If not check out The Paleo Mom, Sarah Ballantyne. She has a PhD in medical biophysics and has written a book titled: The Paleo Approach. With 1200 scientific studies cited Sarah goes into great detail about food and autoimmune disease. Did you know that everyone with an autoimmune disease has a leaky gut? That is, food particles escape the small intestine which leads to the autoimmune response. These past few weeks the people of Pinterest have given me numerous ideas on what to eat. Thank you! Tonight I wanted something familiar. I wanted comfort food and I wanted something quick. When I first made Julia Child's Bifteck Hache A La Lyonnaise I was blown away that ground beef could taste so good. It's sort of like a poor man's fancy dinner. I knew the recipe wasn't AIP compliant so I tweaked it. Instead of butter I used bacon fat and I omitted the pepper, egg, and flour. For the sauce I used organic mushroom broth, about 1 cup, and thickened it with a little arrowroot dissolved in cold water. I'd say a teaspoon or two dissolved in a splash of water. You can adjust the sauce quantity and thickness to your liking. Just make sure the broth is boiling as you stir in the arrowroot so that it thickens while you stir it. Saute the onions in the shortening until translucent and set aside to cool slightly. To the ground beef add the bacon fat, salt, thyme, and onions and mix thoroughly with your hands. Shape the meat into patties or meatballs, whatever shape you like. Cook the meat, preferably in a stainless steel skillet large enough to cook everything at once. Remove the meat and deglaze the pan with 1 C of mushroom broth and thicken to your liking with arrowroot. I use 1 part arrowroot to 2 parts cold water stirred together that I slowly add to the boiling broth. Here is Julia's full recipe on Food.com. While the burgers were cooking I made a cauliflower mash to go with it. My recipe for cauliflower mash can be found with my Shepherd's Pie recipe. If you're like me you've probably been burned by a few cauliflower recipes so I'm always leery of them too. You can use potatoes in place of the cauliflower or combine potatoes and cauliflower to increase the vegetable content. That's the great thing about cooking, you can alter it to your taste. I made this dish to take to a group of ladies I meet with once a month. Each month a different person brings dinner and this was my contribution. I'm sensitive to white potatoes so I used cauliflower mash instead of potatoes. That night 15 people sat around the room chowing down and no one suspected they were eating cauliflower instead of potatoes until I told them. Since the number of ladies who attend somewhat varies I only made one 13x9 casserole and it wasn't enough. I should have made 2. Since I was rushed by time I failed to grab any photos but I wanted to share this recipe because it went over so well with my friends. The next time I make it I'll be sure to take photographs. Bring a pot of water to boil to begin steaming the cauliflower. (see below) Turn the oven on to 350F. In a large saute pan begin browning the beef with the onion and salt. When the beef is cooked add the carrots, celery, bay leaf, and garlic. Stir for a minute or two until the garlic becomes fragrant. Add the red wine to deglaze the pan, scrape up any brown bits from the bottom, and allow the wine to almost completely evaporate. If you're making this recipe Whole 30 simply skip to the next step and omit the wine. Dissolve the arrowroot powder in COLD water. The ratio above makes a sauce similar to a chicken or beef gravy you would put on mashed potatoes. If you want your sauce thicker add less water and add more water if you want it thinner. My advice is to start thicker because it's easier to add water to thin it out than it is to wait for water to evaporate. Turn the meat sauce to low while you puree the cauliflower. Chop and steam 2 heads of cauliflower. When the cauliflower is fork tender put it into a food processor and puree. If you end up with a chunk that won't puree scoop it out. Add the shortening, salt, pepper, and water and puree. Taste and adjust the seasoning to your liking. Place the meat sauce into a 13x9 pan and pierce a few carrots with a fork to see how tender they are. If they are pretty firm the casserole will need more time in the oven than if they are fairly soft. Top the sauce with cauliflower mash and cover the casserole with foil. Bake for 20-30 minutes or until the carrots are fork tender. Even if the carrots are cooked to your liking when you assemble the casserole 20 minutes in the oven will help marry the flavors of the two layers. Follow Jennifer's board Jen's Real Food Kitchen on Pinterest. All contents are property of Jen's Real Food Kitchen and may not be copied without written consent. Information may be used and shared as long as it is accompanied with a link to the original source. Information contained within is not intended to treat, diagnose, or cure any medical condition. If you are considering dietary changes please consult with a medical professional. The contents contained within are for entertainment purposes only. Jen's Real Food Kitchen is a participant in the Amazon Services LLC Associates Program, an affiliate advertising program designed to provide a means for sites to earn advertising fees by advertising and linking to amazon.com.